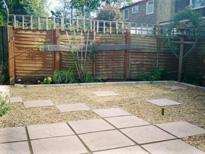 In most cases, shingle can be an extremely cost effective way of creating a feature in your garden. Shingle on driveways is particularly popular as it is a cost effective way of covering your drive - compared say to the cost of block paving. 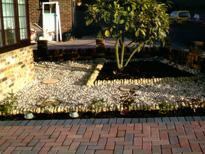 Shingle is also great for pathways - though some kind of edging would also be recommended. 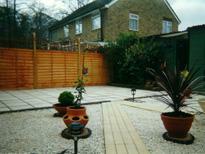 There are all sorts of shingle and aggregate products available on the market. Our photo gallery features just some of the many shingle and stonework features that we have installed for our customers.